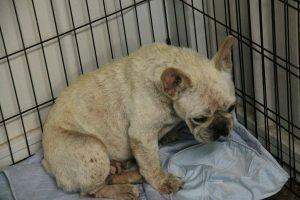 This page is an example of how one online puppy mill used photos and their website to mislead consumers. 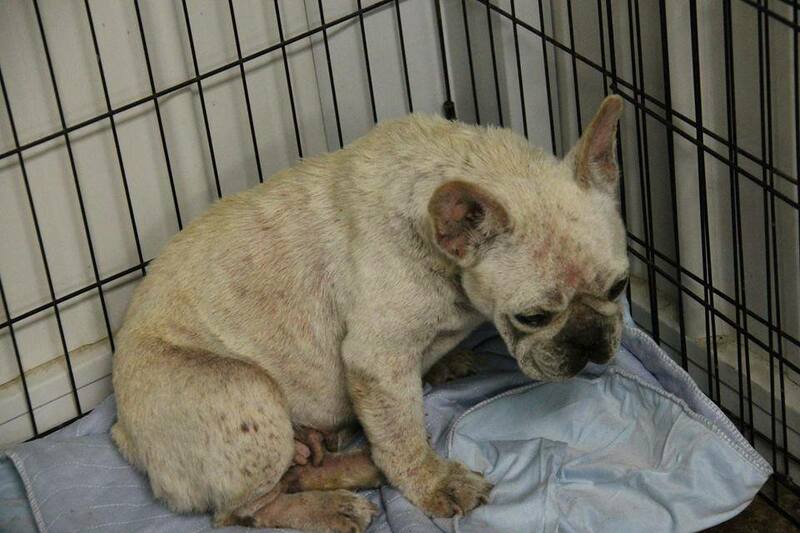 The pictures below are of a breeder’s facility that was previously USDA licensed. But because of the ease of selling puppies online they dropped their USDA license and are now considered an unlicensed breeder. 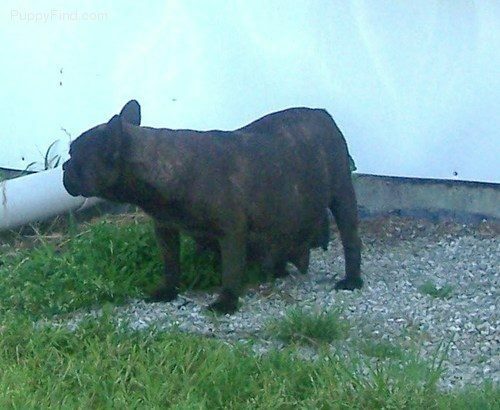 The photos below are deceiving because it shows a large green farm yet the breeding dogs were suffering from no vet care, were forced to live and breed with painful and life threatening conditions, and suffered from mental anguish. 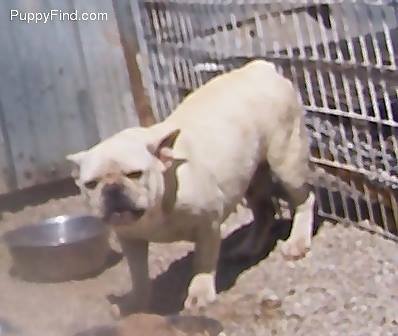 Below is the story about the undercover rescue of four of this breeder’s breeding dogs. “We live on 100 acre farm in Missouri. We love our dogs and want to find good homes for their Babies. Fridays. We can ship other days if it will work better for you. Reality for the breeding dogs. The truth about this breeder and the dogs they claim to love. They breed three different kinds of dogs and show around 30 adult breeding dogs on their website. An undercover rescue of four of the breeding dogs this breeder claims to “love” easily disproved their claims of great care. Two were being advertised for sale by the breeder via Puppyfind.com. Once the rescuer was at the facility, she was able to convince the breeder to sell her two additional breeding dogs. All four dogs were afraid of human touch and would pancake flat to the ground or stiffen when a human picked them up. They were shut down emotionally, would avoid eye contact with humans and each had severe medical issues from not receiving vet care. 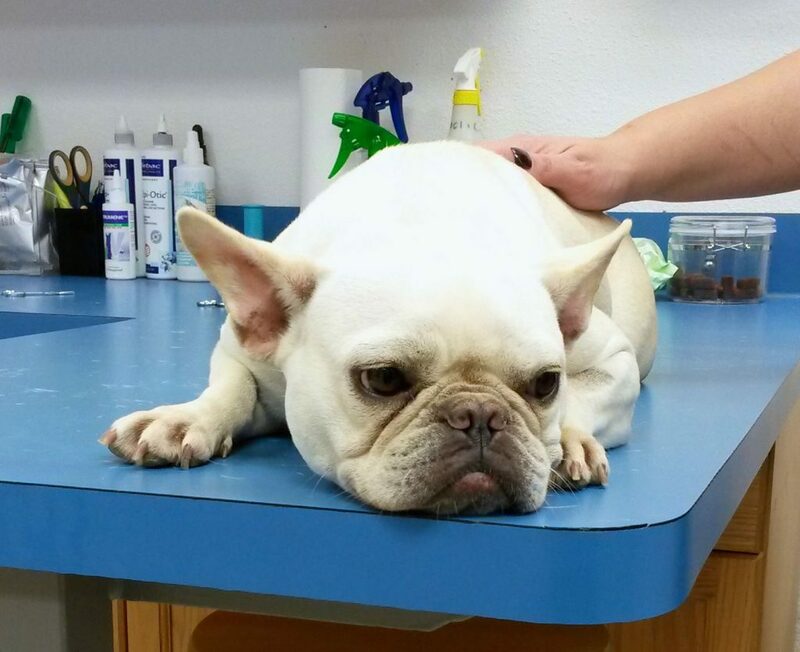 Jude upon rescue had a painful staph infection covering her entire body. Her feet were covered with sores that were oozing puss. 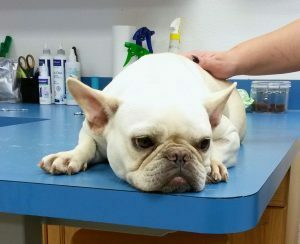 She also had a painful ear infection. She had no life in her eyes and would not make eye contact with humans. She was being used for breeding. JoJo had an infected uterus that would have eventually killed her if she had not been rescued. She also had a large hernia on her belly. She underwent a 2 hour surgery to remove her uterus and repair the hernia. The vet had difficulty sewing her up due to the many abdominal C-section scars incurred from carrying numerous litters of puppies. She too had a painful ear infection. Jojo does not trust humans. She will not approach humans and stiffens her entire body if a human approaches her to pick her up. She was being used for breeding. Loretta lost a litter of puppies 3 days before her rescue. She was shut down emotionally and constantly shook with terror. 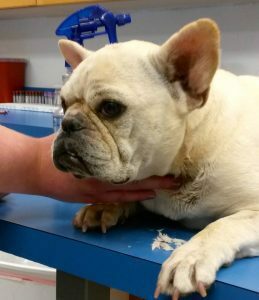 She had a painful ear and skin infection upon rescue due to the lack of vet care. Her uterus was severely infected necessitating her to undergo emergency surgery. She would have died in her cage within days, had she not been rescued. She was being used for breeding. Rita also had a painful ear infection upon rescue. She was having trouble standing on her hind legs. She was taken to a neurologist where it was determined she had a genetic spinal disc problem. She was being used for breeding. Even though these dogs were sick and had congenital issues, the breeder was breeding them to produce puppies. These puppies were then being sold sight unseen over the internet to unsuspecting families across the United States. Jude getting a medicated bath. After the rescuer visited the facility in person, it was clear how deceptive the breeder’s website ad is. 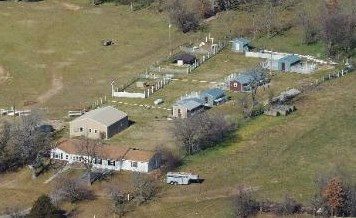 The website talks about 100 acres of land, implying the dogs have use of it for exercise and play. The fact is, this breeder uses small barn like buildings to house their dogs. These small building are where they spend their entire lives. The dogs never feel the 100 acres of land under their feet, instead their paws rest on wire bottomed cages. 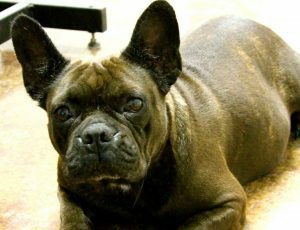 The four rescued breeding dogs in this true story had been denied vet care for years and all four were living and breeding with painful medical conditions. A far cry from the loving home portrayed on the website. Unfortunately, this is the norm not the exception. 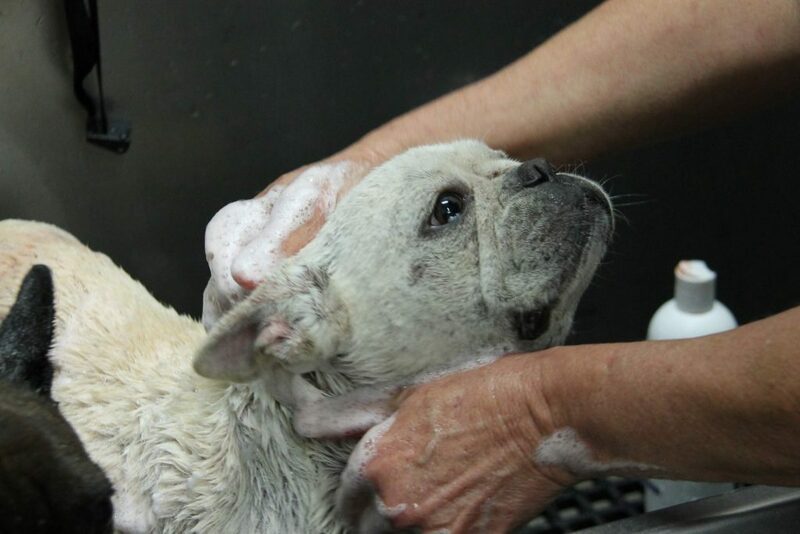 The internet is full of deceptive puppy mills. The only way to insure you are not supporting the cruel puppy mill industry is by doing your homework. If the breeder does not want to show you where your potential puppy lives, and does not let you meet the parents, chances are… you’re dealing with a puppy mill. Fortunately, all four dogs in this true story were vetted and rehabilitated. They have all been adopted into loving homes where they are now treated like queens!